American Airlines has sent out targeted AAdvantage bonus miles offers to select members that a reader forwarded to us. Member can earn double award miles after spending certain amount in Premium Economy, Business and First class by July 11, 2019. Today’s Airfare of the Day goes to One World transatlantic joint venture and their midweek business class excursion round trip fares between New York and Berlin. Today’s Airfare of the Day goes to American Airlines and their business class sell-up round trip fares between London and Los Angeles. This fare allows to be routed on British Airways codeshares. American Airlines has launched an offer to purchase miles with up to 100,000 bonus miles through April 30, 2019. American Airlines a while back upped the number of miles that you can buy before any bonuses to 150,000 every calendar year. The account that buys or receives the miles must have been open for minimum of 30 days. American Airlines and China Southern launched codeshare agreement last year and as of March 20, 2019 AAdvantage members are able to earn and redeem miles on the airline. China Southern was a SkyTeam member airline until January 1st and is rumored to become Oneworld Alliance member in the future. American Airlines owns 2.76% stake on the airline while Qatar Airways owns 5%. Today we have a Reader Question about the use of American Airlines gift cards and restrictions that apply to using them when not departing from the U.S. (Spoiler: you can’t!). Purchasing gift cards with American Airlines has been popular with people who have to spend airline credit from their credit cards (which doesn’t work anymore as of early 2019). Today’s Airfare of the Day goes to the OneWorld transatlantic joint venture (AA/BA/IB/AY) and their midweek business class excursion round trip fares between Houston and Milan. American Airlines and Hyatt today announced a partnership that is modeled after what Starwood used to have with Delta. American Airlines and Hyatt elite members can earn bonus points and miles for hotel stays and flights after linking the accounts. There will be some limited elite benefits in addition to the accelerated status opportunities for both programs. 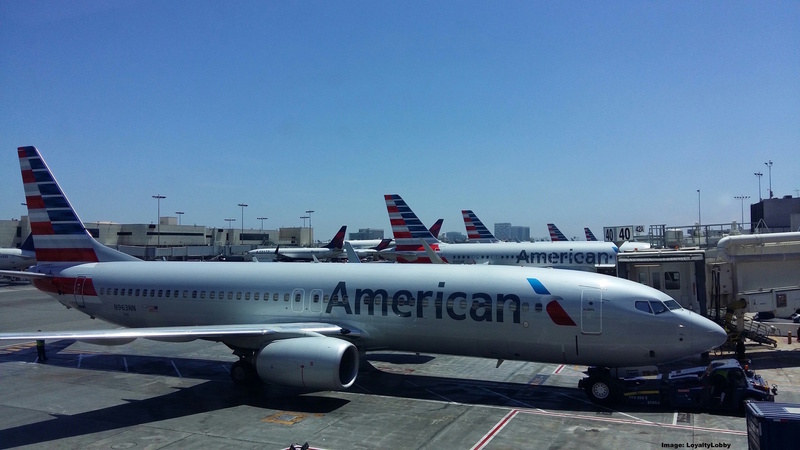 It could be a rough 2019 for American Airlines AAdvantage members as some changes are on the horizon that could impact the redemption ability of members significantly. Card members of the Barclaycard Aviator products and now apparently also the will no longer earn 10% of their redeemed miles back (up to 10,000 each year) and now Citibank has removed the perk as well. Today’s Airfare of the Day goes to American Airlines and their midweek business class excursion round trip fares between Los Angeles and Bangkok. This fare allows routing via NRT on codeshare flights operated by Japan Airlines. AAdvantage members can earn sextuple miles of 250 base + 1.250 bonus (1,500 miles) per stay between February 1 – March 31, 2019.